Order your Montblanc Writers Edition Homer Limited Edition Fountain Pen - M nib today from FahrneysPens.com. Fine Pens, Refills & Luxurious Gifts – great prices & fast shipping. 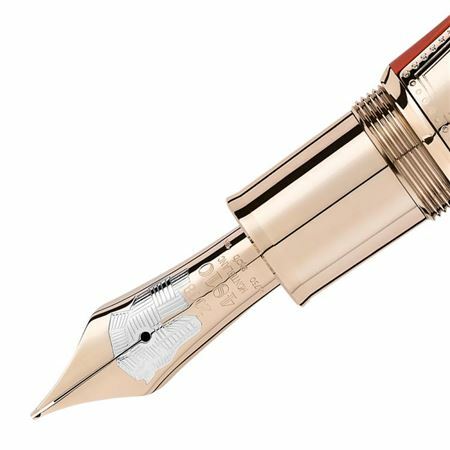 The Montblanc Writers Edition, Homage to Homer Limited Edition 1581, features the same silhouette in a coral color often seen in classical Greek pottery. 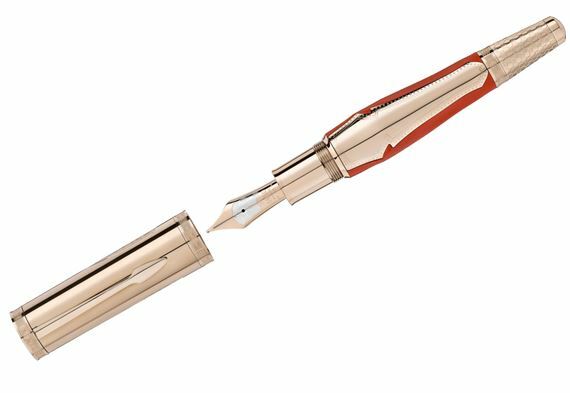 The champagne gold-coated inlays are reminiscent of Achilles’ armor; the 18K gold two-tone fountain pen nib is engraved with the head of the Trojan horse. The Montblanc emblem on the cap crown is crafted in mother-of-pearl. Bottle fill only.